The purpose of this study was to analyse the antibiotic resistance and virulence of enterococci recovered from seafood and to characterise the associated genes. 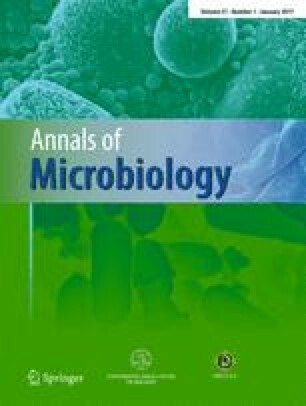 Forty-four enterococcal isolates [Enterococcus faecalis (21), E. faecium (11), E. casseliflavus (5), E. durans (3), E. hirae (2), E. gallinarum (1) and E. mundtii (1)] were recovered from 70 samples of seafood collected during March–May 2015 in Tunisia. Isolates were tested for antibiotic resistance to 12 antibiotics by the disc diffusion method. Rates of resistance in the range 25–45.5% were observed for pristinamycin, ciprofloxacin, streptomycin, tetracycline and erythromycin, and in the range 6.8–9.1% for kanamycin, gentamicin and chloramphenicol. However, all strains showed susceptibility to β-lactams and glycopeptides. Multi-resistance to at least three different classes of antibiotics was detected in 14 strains (31.8%). Among 12 tetracycline-resistant enterococci, tet(M) was detected in 11 isolates and tet(L) in seven isolates. The erm(B) gene was identified in 91% of erythromycin-resistant isolates. All chloramphenicol-resistant isolates carried the cat gene, and all kanamycin-resistant isolates harboured the aph(3)-IIIa gene. The aac(6′)-aph(2″) and ant(6)-Ia genes were detected in high-level gentamicin- and streptomycin-resistant isolates, respectively. The virulence genes gelE (29.5%), esp (9.1%), cylA and cylB (9.1%) were found in enterococci. This is the first study in Tunisia to underscore the importance of seafood as a reservoir of enterococci carrying resistance and virulence genes.